Unmatched German engineered dual-diaphragm sound precision. Raising the bar in physician and nursing stethoscopes. The search for the ideal doctor stethoscope took us all the way to Germany, to a company steeped in history and precision-driven engineering. Founded in 1889, ERKA revolutionized blood pressure measurement with the development of the very first industrially-made blood pressure measurement device. 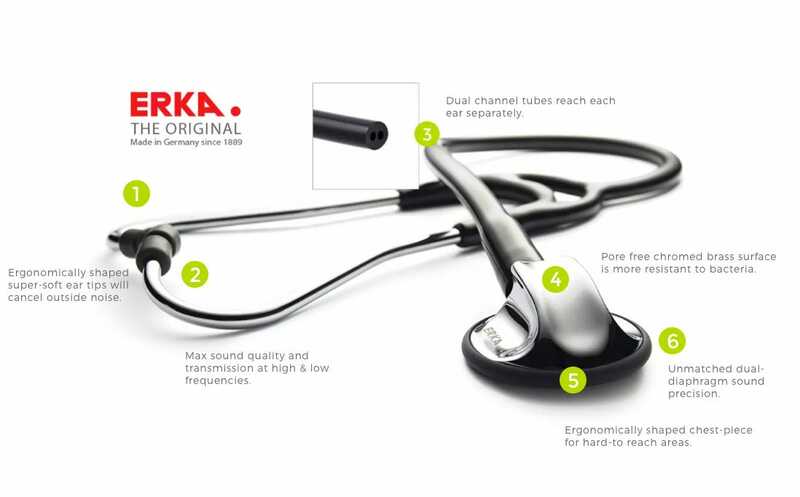 As the exclusive distributor of ERKA stethoscopes in the U.S., Medelita is proud to offer a superior alternative in terms of ease of use, durability and functionality. "I liked how durable it felt. It was heavy, and I like that in a stethoscope. \ In terms of auscultation, I felt that it was very sensitive and definitely up to par with my Littmann master cardiology." "I can hear again. It was time to retire my Littmann purchased while in school. This one is perfect"
"I am an EMT, and I can finally hear my patients on a moving ambulance!!!! 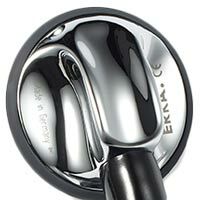 Everyone in my county loves my stethoscope and want to trade their Littmann's for Erka's!" 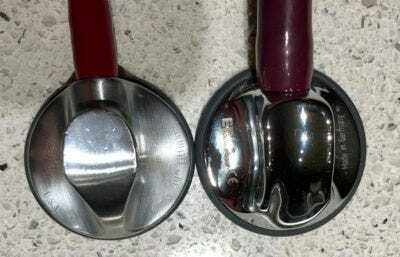 T. Sizemore-Ruiz, D.O., F. A. C. C.
Stethoscope Review: It's Really Good! 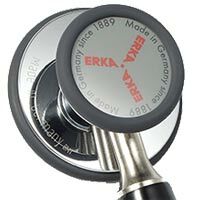 "Were I particularly price conscious and wanted a stethoscope made in Germany rather than the USA, the ERKA should get serious consideration." 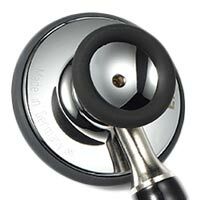 "When it comes to sound quality, there's no doubt that the Medelita stethoscope is of the best quality." 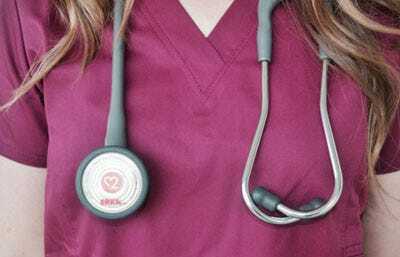 "All this being said, the ERKA stethoscopes are of either equivalent or better quality than Littmann, but are a much better value." 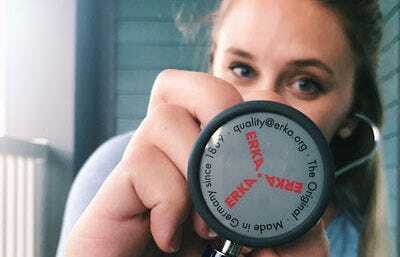 The ERKA brand stethoscope is a superior stethoscope in every way, making it the best stethoscope for physicians, nurses and medical students. Featuring the signature ERKA dual-membrane technology for a technically superior sound, super-soft binurals for a comfortable fit, and parallel tubing to prevent grinding sounds and noises. Every component exudes quality and highly precise engineering for sensitive auscultation. FDA-Approved and exclusively available in the USA by Medelita, each stethoscope ships free in the USA and can be returned free for 30 days, otherwise a standard 5-year ERKA warranty applies.